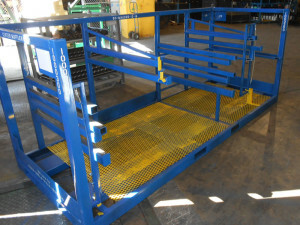 Products Include Custom Steel Racks, Steel Bulk Containers and Bins. Benchmark Tool and Machine Inc offers many different types of custom steel racks and steel bulk containers and bins to accommodate your packaging needs. 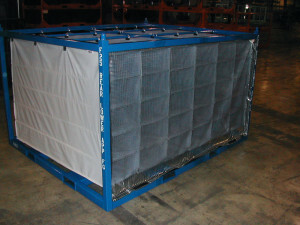 Our shipping containers are built to ensure that your parts reach their destination in top condition. 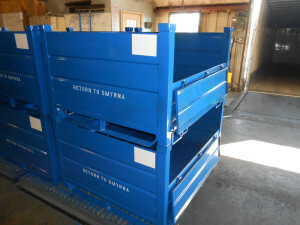 We can build new containers to your design, retrofit old containers to new specifications, or assist you in designing new or retrofitted containers. 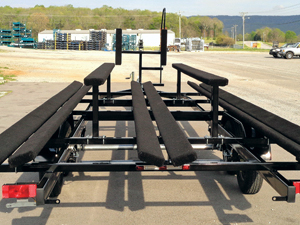 We recently have incorporated a new product line- boat trailers. Pontoon and replacement trailers for several brand name bass boats with rock guard textured powder coat with better than factory appearance and construction. Contact us for your boat trailer needs. While most of our bulk handling containers and metal containers are made for Japanese and Domestic automakers as well as Tier 1 and Tier 2 suppliers, they can also be used for numerous other applications. Shelf Racks are space saving industrial containers. Our shelf racks consist of multiple levels and feature gas operated shelves. They are made to be extremely operator friendly. 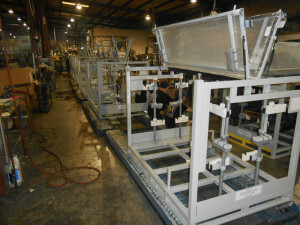 Fixed Arm Racks are used for large, heavy components. They are reusable shipping containers that contain multiple levels. Fixed Arm Racks are typically made to be walk-in style.